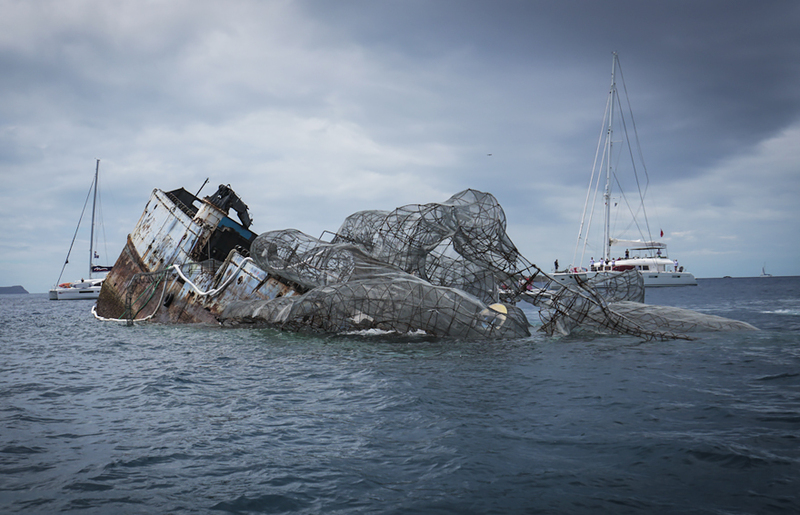 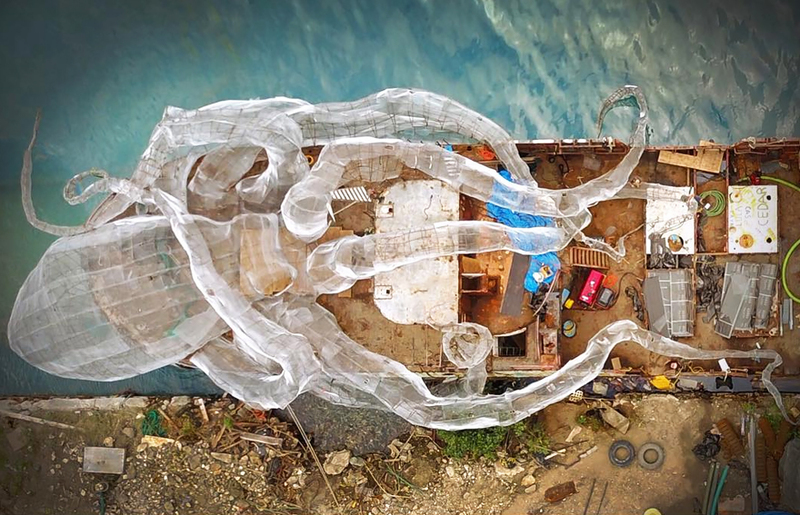 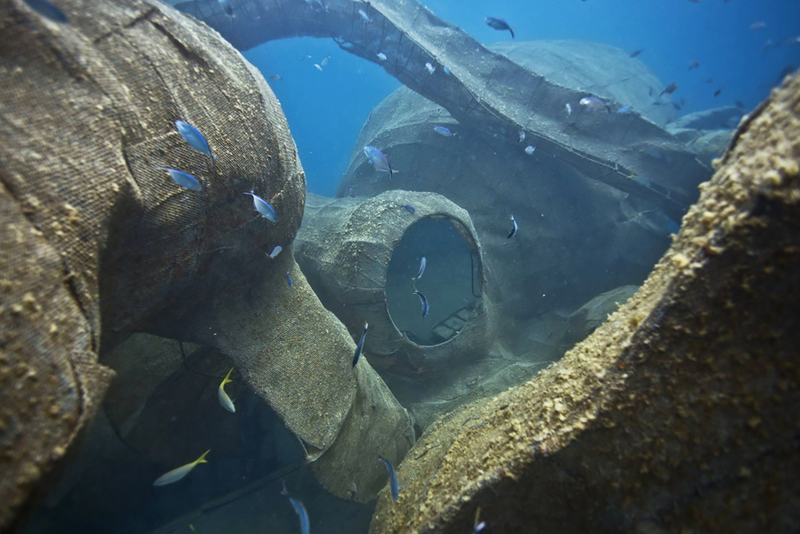 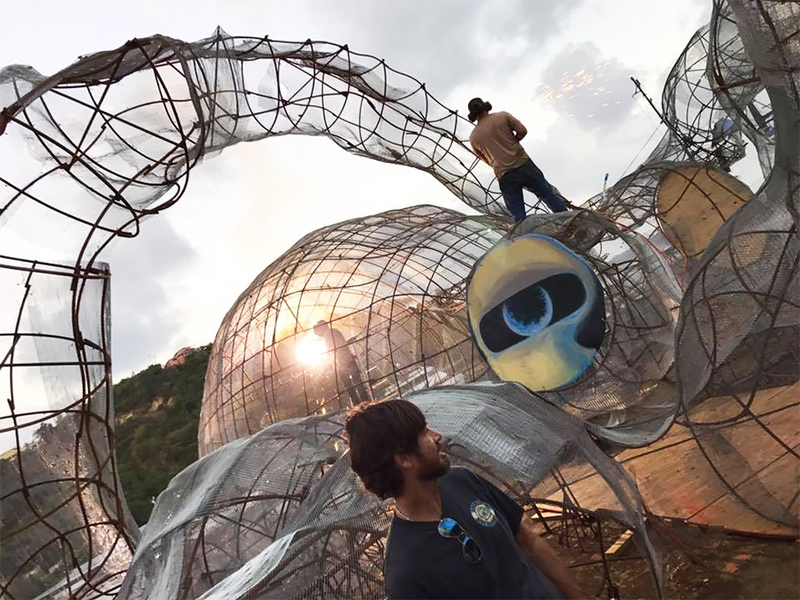 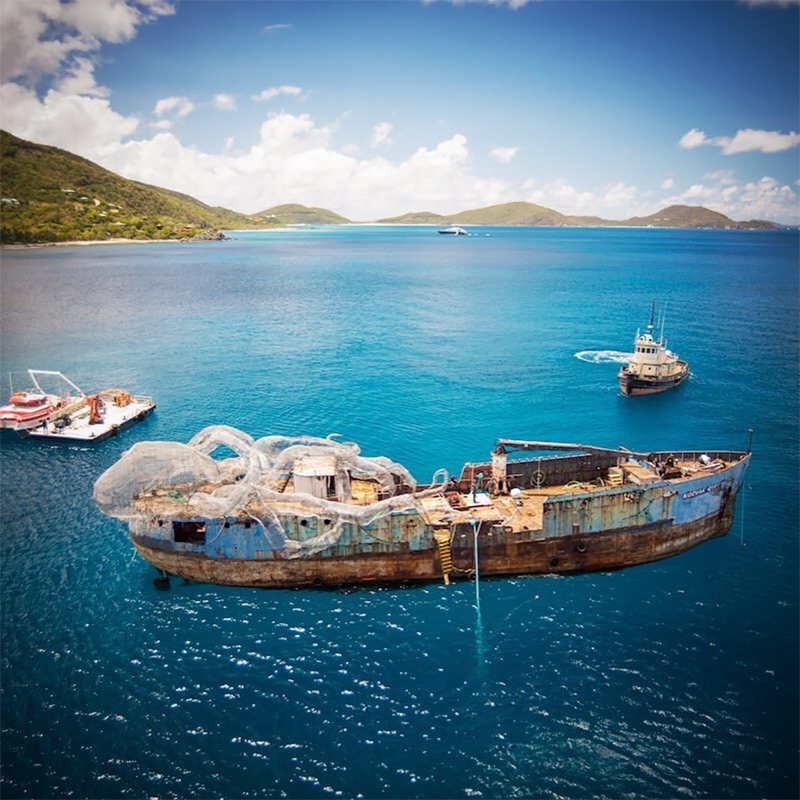 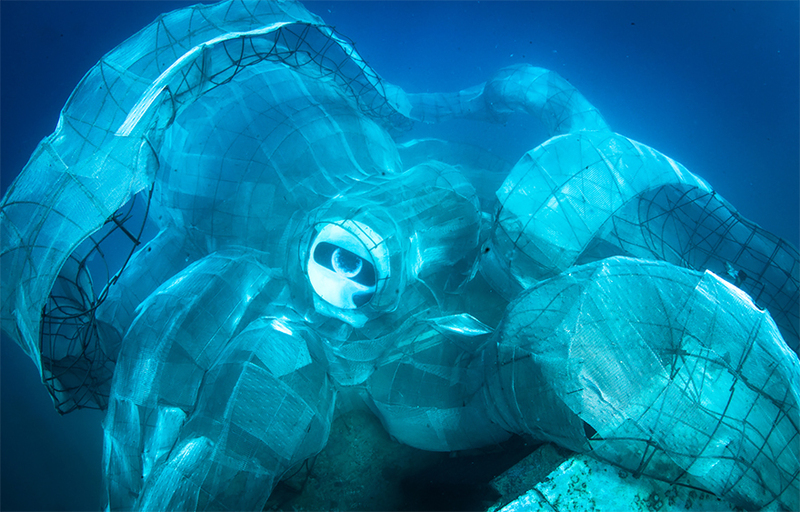 The project, titled BVI Art Reef, is the work of the NGO Unite B.V.I., along with artist group Secret Samurai Productions, social justice entrepreneurial group Maverick1000, and ocean education nonprofit Beneath the Waves. 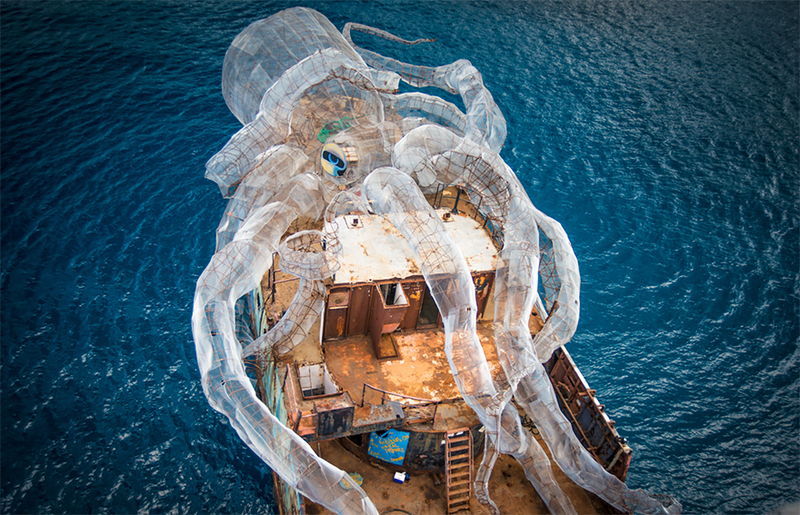 “It’s envisioned that within just a short space of time the ship and artwork will attract a myriad of sea creatures. 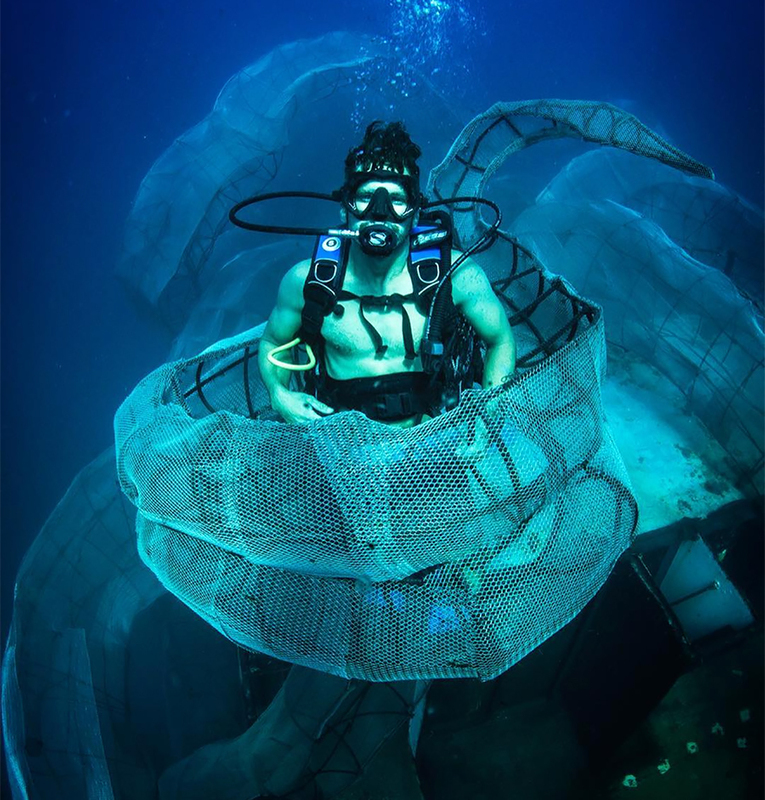 Everything from corals to sea sponges, sharks and turtles will live on, in and around the wreck.” Says Clive Petrovic, leader of the environmental impact assessment of the project. 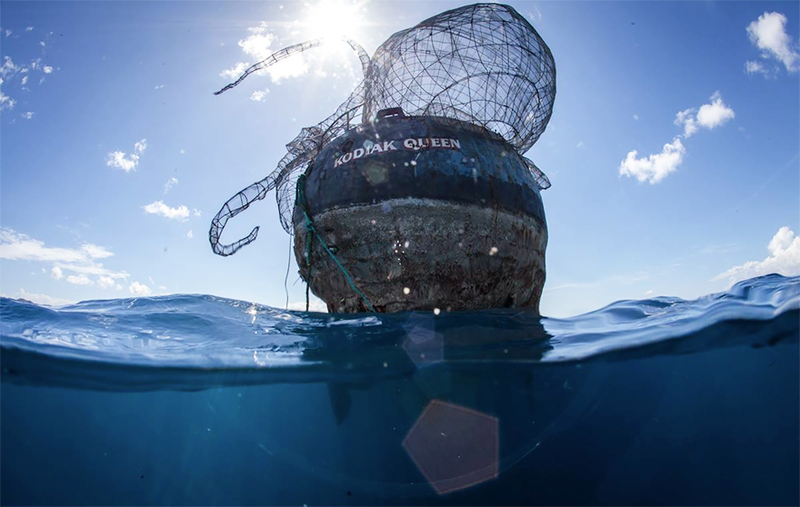 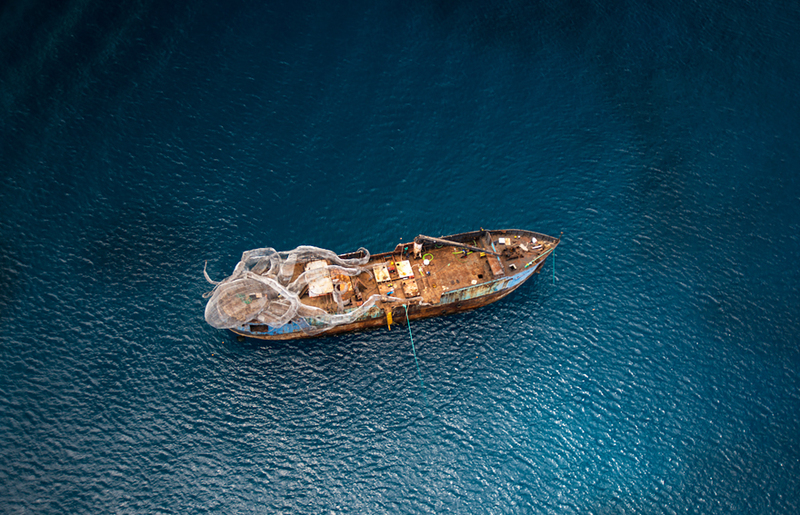 It is hoped that the Kraken and the historically relevant ship it rides on will attract dive tourism to the British Virgin Islands, and encourage a new generation of people who are passionate about ocean conservation. 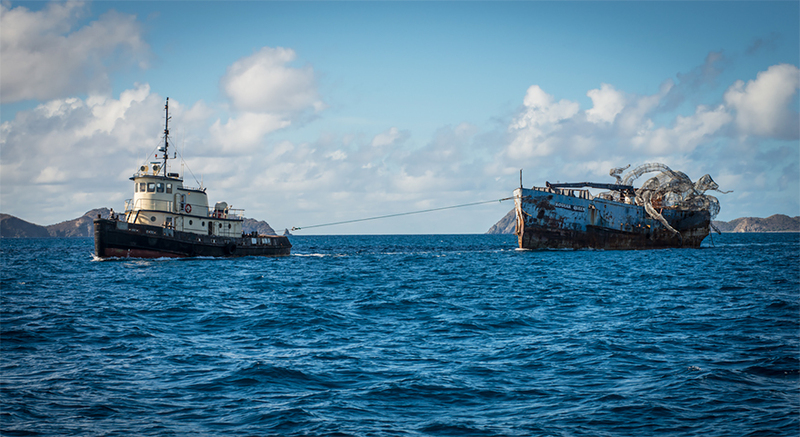 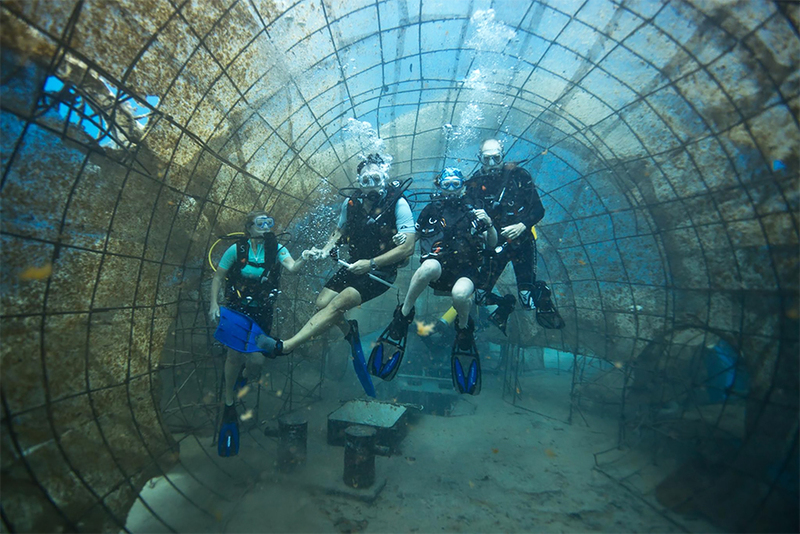 The ship was prepared and cleaned to the highest standards to ensure safety for diving.